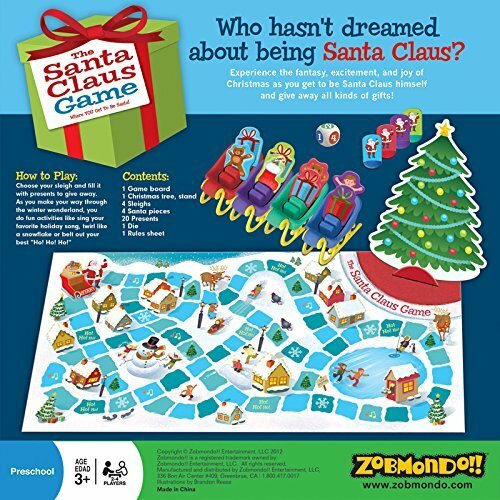 HOLIDAY GAME TEACHES KIDS ITS FUN TO GIVE! 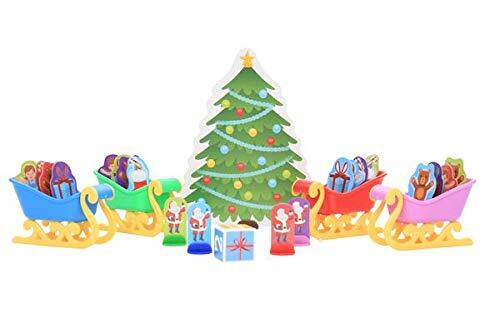 Be transported into the wonder of Christmas as your children act as Santa, discovering the joy in giving gifts and belting out their best "Ho Ho Ho!" PERFECT FOR CHILDREN OF ALL AGES! 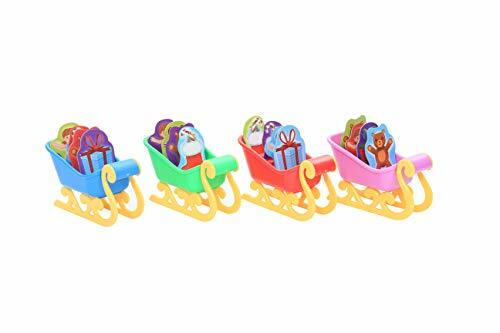 Each player chooses a sleigh full of teddy bears, dolls and treats. 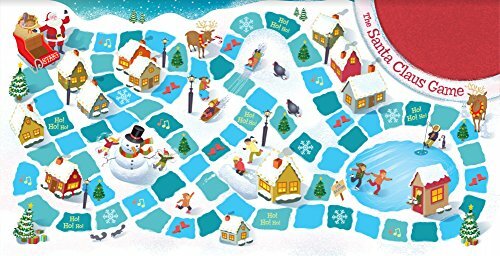 As your children play the game they deliver presents, sing holiday songs, and twirl like a snowflake. A CHRISTMAS HIT THAT'S FUN FOR THE WHOLE FAMILY! 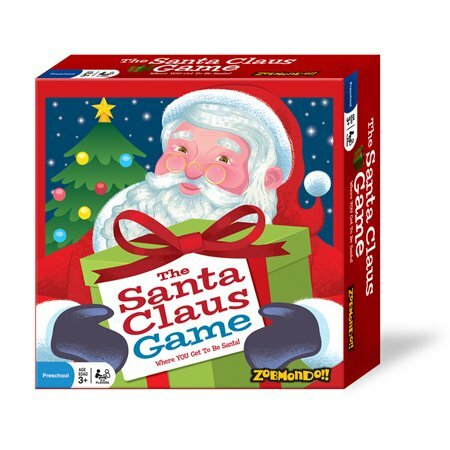 When the holidays come around, the Santa Claus game is a great way for children, parents and grandparents to have fun together! AWARD WINNER: Named Holiday 2017 Seal of Approval Winner by The National Parenting Center! PLAYERS: For 2 to 4 players. AGES: 3 years and up. GAME TIME: 15 to 20 minutes. 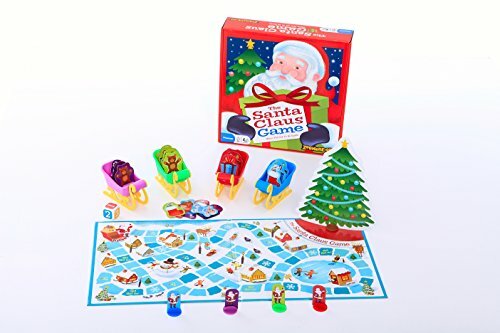 The Santa Claus game includes a beautiful winter wonderland game board, one Christmas tree, 4 sleighs, 4 Santa pieces, 20 gifts, 1 die and an Official Rules sheet.